President – Fr. Michael Cicinato retired from parish work to devote his time in ministry to veterans, particularly those suffering from PTSD. 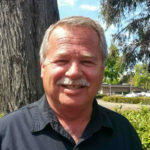 He serves as a chaplain to Central Coast Veterans Helping Veterans and to the Veterans Treatment Court in San Luis Obispo. 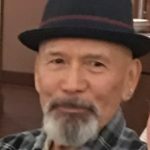 He is trained in men’s spirituality and ritual work and has made two healing trips to Vietnam and a co-founder of Healing Through Reckoning and Responsibility (HTRR). Director – Peter Sternberg, L.C.S.W., P.C. is a psychotherapist in Chicago working with adults, couples and children. His professional resume includes: teaching, providing physical safety training for healthcare workers, training First Responders for Pediatric Mass Casualty and contributing to Mass Casualty Planning and is a co-founder of Healing Through Reckoning and Responsibility (HTRR). Treasurer and Legal Counsel – Michael Johnson. 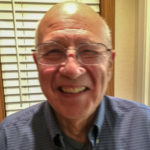 Mike graduated for the University of Southern California (1967) with a Bachelor of Science Degree in Accounting and has been a Certified Public Accountant since 1970. He received his JD in law from Santa Barbara College of Law and pass the California Bar Examination in 1992. 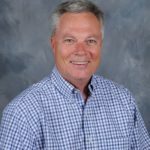 His business career includes working for Ernst and Ernst (now Ernst and Young) an international accounting firm; partner in the San Luis Obispo firm of Knight, Towle, Sage and Johnson; Certified Sports Agent working mainly in baseball with MLB. He now works with emphasis in financial and tax planning, tax preparation, estate and trust work, contract mediation and IRS and state tax resolution settlements. 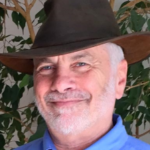 Director – Bill Reisz William “Bill” Reisz, graduated from Loyola University of Los Angeles with a Bachelor of Science degree in Economics and a minor in Physical Sciences, followed by post graduate work in accounting at Cal State Northridge. Having joined the U.S. Naval Reserves, the years of study were interrupted by two tours in Vietnam. On returning from active duty, a thirty one year career in banking and finance followed. Currently is operating a family business and is involved with veterans through the American Legion and HTRR. 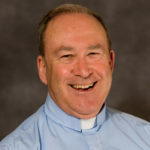 Director – Deacon Warren Hoy is the Director of Family Life and Social Justice Ministries and the Safe Environment Coordinator for the Catholic Diocese of Monterey. He coordinates all social ministries in the diocese: feeding the hungry, housing the homeless, visiting the sick and the imprisoned. 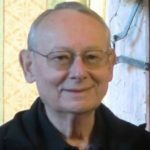 Before working full-time for the Church, Deacon Warren served 32 years with the Department of Defense, including 22 years on active duty with the US Army and 10 years as a Defense Department civilian employee at the Defense Language Institute and the Naval Postgraduate School. He retired from the Army in 2005, after 22 years of active duty service in Armored Cavalry, the Military Intelligence Corps, and as a Foreign Area Officer. His active service included tours of duty in Germany, Venezuela, Bosnia, and Iraq, as well as at Headquarters, US Southern Command in Panama and two tours in the Pentagon. Warren also served as US representative to the Conference of American Armies and to the Inter-American Defense Board at the Organization of American States. Deacon Warren’s has a Master’s degree in Latin American Studies from the University of New Mexico, a Master’s in Pastoral Studies from Loyola University of New Orleans, and two bachelor’s degrees, one in Political Science and one in Modern Languages and Linguistics, both from Wofford College in Spartanburg, SC. He is a graduate of the US Army Command and General Staff College, the Venezuelan Army Infantry Officer Advanced Course, and the NATO Staff Officers’ School. Secretary – Director – Daniel Jimenez is a combat vet who served as an Army squad leader in Vietnam. He graduated from California State University with a BS in Marketing. Graduate studies included Harvard Business School and UCLA Anderson School. He has an MBA in finance from UCLA. 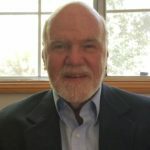 His business career included over 30 years of business consulting. He is currently retired and active in his church ministries and with veterans groups in San Luis Obispo California. Michael Patrick Brewer has served as a Marine Corps squad leader with the 7th Marines in Vietnam. Mike has two majors–one in Philosophy and one in Religious Studies. Trained as Gestalt Therapist while attending RN program at Pima College and U of A. He served as a Veteran Advocate since 1972 and is involved in a number of Veterans service organizations. He is married to his beloved Lydia Brewer and has three children and three grandchildren. “Deke” Segovia, Vietnam Army Squad Leader. Deke, came to our first Healing Journey and returned as the Veteran Leader for our third journey. 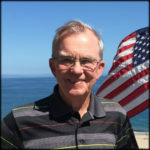 He is active in the Vietnam Veterans of America and in veteran work throughout the South County of San Luis Obispo. Coming for Hispanic and Native American background, brings a lot of joy and humor to our program, as well as a deep authenticity. 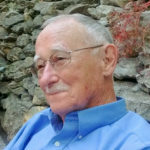 RIP Lou Stoetzer, MSW, Phd One of our great inspirations, Lou Stoetzer, has passed away. Lou not only contributed profoundly to the ideas and resources that make our Healing Journey possible, but was also the one responsible for putting the two founders of HTRR together. Lou also contributed to the Mentor Training Program for Central Coast Veterans Helping Veteran for the San Luis Obispo County Veterans Treatment Court. Lou will be deeply missed by us all. Healing Through Reckoning and Responsibility owe much to this great man. Our deepest condolences to friends and family, especially to Lou’s beloved wife, Judy. Judy has also contributed much to our group. We are honoring his memory with an opportunity to help support veterans and their families to attend future Healing Journeys. If you would like to contribute something in his name, you may do so by clicking on the Donate buttons above. Thank you to those who have already contributed in his memory. 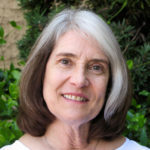 Wendy Wade, PhD, LPCC is a psychotherapist who has participated in Soldier’s Heart retreats and trainings, and has made one healing trip to Vietnam. She is an addiction counselor, college professor, and has a private practice. She is committed to helping veterans and family members in healing retreat settings. Roger York retired after 32 years in law enforcement. He served in the U.S. Army during the Vietnam war in 1967 with the 173rd Airborne Brigade. Roger made a healing trip to Vietnam in 2013 with Fr. Michael Cicinato and with Soldier’s Heart. Currently, he serves as a mentor for the Veterans Treatment Court. Roger devotes his time of meditation to deep sea fishing. He has been a major veteran resource for the creation of the Healing Journey Program. You can provide ongoing monthly support for our program by choosing and option and then clicking on the Ongoing Support button.